When I go out for a meal, I already have an idea of what I would like to eat. Usually it is something I am familiar with; family favourite, reminds me of when I was little or it is simply the best tasting food ever. However, there are times when I would quite like a change but feel apprehensive that it may not be as nice as my usual. It’s on these occasions I would quite like to do a tasting session; like you can with wine. Now I know you may be wondering what this has to do with reviewing a book, but it was whilst reading these short stories that they conjured this image up; of tasters or samples if you will. Dark Fates comprise of 8 short stories written by Lynn Thompson, with the general theme for all of them being supernatural and fantasy. Each story varies between two and seven pages and none led onto the other -so can be read as standalone stories. I enjoyed two in particular; Dwarfs Eve and The Devil in Disguise. The Devil in Disguise is perhaps one of the shortest stories. In this story you encounter the Devil, and his ability to charm and to woo women. Although short it was captivating and charming, bringing a smile to your face. 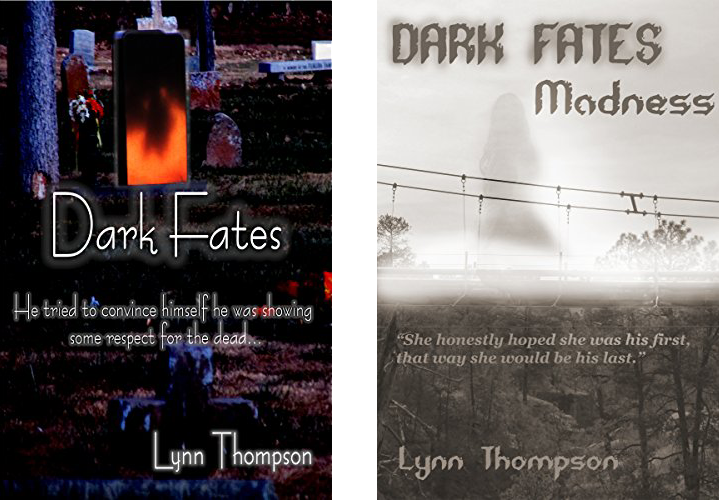 Dark Fates Madness, also written by Lynn Thompson is made up of 4 short stories; and each story is approximately 25 pages long. The themes for these were the supernatural, fantasy and teenage angst to name but a few. Teen Spirit is focused on Jade, a young girl who committed suicide and is now left to haunt the school in which she attended. As the story unfolds you learn why this happened and the consequences of this seemingly pointless death had on everyone around Jade. Lynn also brings home the stresses young people can endure and how isolated they can also become. Calla Crossing is the story of young Calla, who is a ghost and trying to understand how her life ended the way it did. 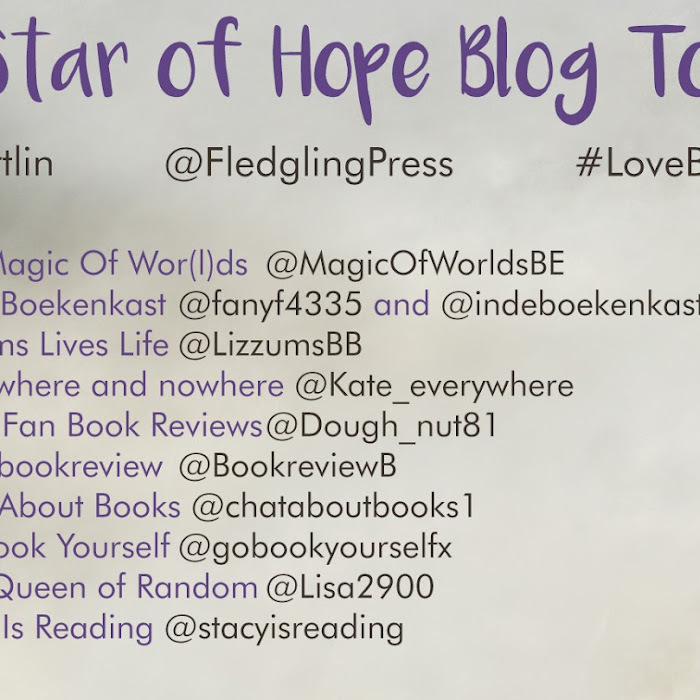 The story takes you from the present, with Calla as a ghost, to the past, where Calla is alive and you learn about her life. The subject matter for this story is sensitive but very well handled by Lynn, who is able to bring a realness and honesty to the damage caused by abuse and control. I finished this short story wanting to know so much more and hoping that at some point this would be developed further. Dark Fates and Dark Fates madness were like tasters into the supernatural and fantasy world of Lynn Thompson. 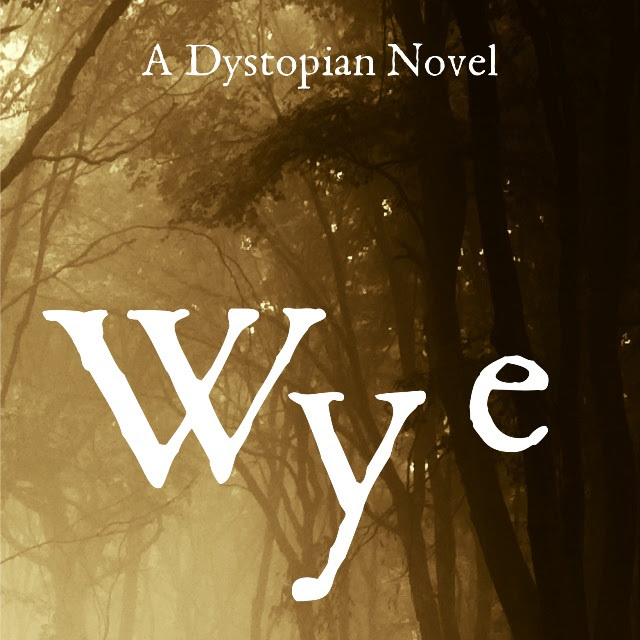 Not all of them agreed with me; I would have liked for some of the short stories to have been a little longer to allow me to connect with the characters and the story a little better. The few mistakes with punctuation and spelling put me off my flow at times also. Overall I enjoyed these stories and would like the opportunity to familiarise myself with more from this genre.